Purchase price $34.95 plus shipping. I have always had a strong yearning to ride and explore some of the wide open spaces of the Western US on motorcycle, with one of the bigger draws being touring in and around the national parks of Montana, Yellowstone and Glacier. So naturally when I caught wind of this guide book I had to get myself a copy. The book is quite a substantial offering. It is a handy 5 1/2" x 8 1/2" page format, convenient size for stashing in a saddle or tank bag, with a 1 1/2" plastic spiral wound binding of 488 pages plus fold out sectional dividers. The guide is printed on heavy gauge glossy paper stock with heavier card gauge stock outside pages and dividers, all with high resolution photos and maps throughout. It is shipped with a copy of the Montana Official State Highway Map as a reference. The book is divided into the six major geographical sections of the state: Glacier Country, Russell Country, Missouri River Country, Custer Country, Yellowstone Country and Gold West Country. Each "Country" section has an overview map (on the handy foldout divider) and an overview of what to expect in that region, along with some background info about the people, places, demographics, history and modern day conditions of the area. Then various possible touring routes are laid out, including highlighted map insets, along with the author's own insights and experiences along those routes. At the end of each section a small area is provided for you to make your own notes. The book is not just your usual tour guide, nor just a collection of one guy's ride reports through the regions, but rather it is a seamless combination of the two. The insights of a fellow rider who has lived, ridden and written about these roads for decades is an invaluable asset to a potential visitor. No doubt, it will help avoid the possible pitfalls, avoiding tourist traffic and boring highways in favor of the local gold nuggets of the secondary highways, byways and local roads and help you be more prepared for conditions and climate when you do make that memorable road trip. Though the book is written as a guide book, I read it from cover to cover for the entertainment. I particularly enjoyed the sections about riding in and around Glacier Country, Yellowstone, and of course the famous routes over Chief Joseph pass and the Beartooth Highway. Knowing more about these great rides will make trip planning a breeze, and even more enjoyable when I get out there. Scattered throughout the guide are advertisements from various establishments located along the route or region who cater to the needs of the traveling motorcyclist, which sure seems like would be a great resource to have along when out on the road. The high resolution photography is all top notch in my esteem, and has me salivating, anxious to get out and experience the Big Sky Country more than ever. I would highly recommend getting yourself a copy to bring along if you'll be headed that way any time soon, or even just to join me in dreaming of the day. Although it may sound otherwise, I have no affiliation to the author or publisher other than knowing him through the FJRforum. I purchased my copy from him directly (from the web site linked to above) with no strings attached. I just think he has done a fantastic job in sharing his insider perspective on his home state with his fellow two wheelers, and wanted to share the opportunity with anyone else who might be headed that way. All I know of Montana is the Bear Tooth and Missoula. You mean there's more? I've ridden in quite a few states, and I would rate Montana as the best for adventure touring that I have experienced. Especially if you like getting off the highways (although there is some very nice highway riding as well). I just moved away from Montana this winter after living there for 15 years. I will miss it. 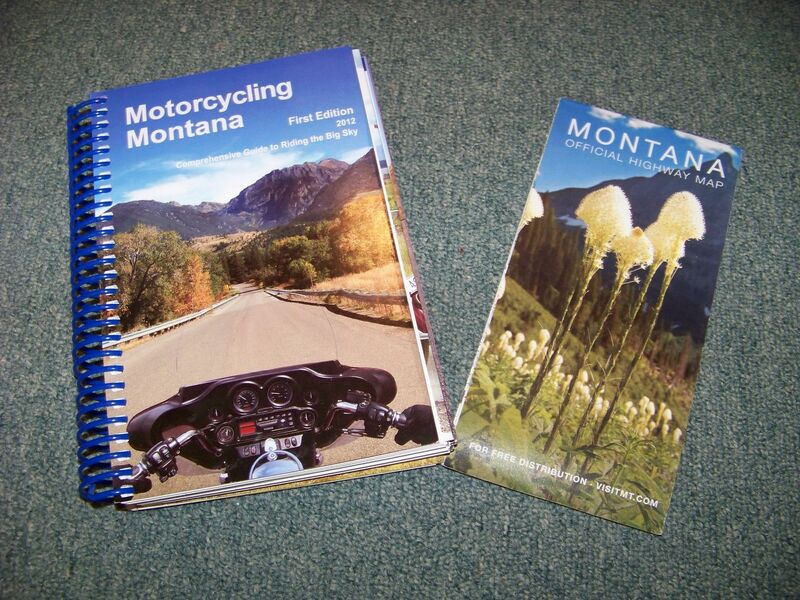 I bought the book a couple years ago it's a great book and I've used it on a few of my rides into Montana.
" Do not argue with an idiot. He will drag you down to his level and beat you with experience." Never been to Montana, whats it like? It's better to want something you don't have than to have something you don't want. It's awful. Tell your friends. I hear that North Dakota is nice though.